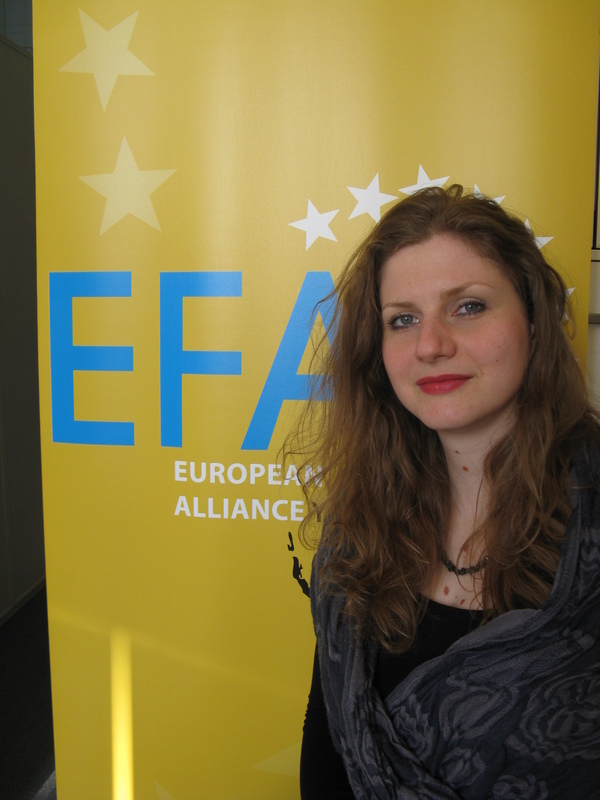 The European Free Alliance Youth (EFAy) is pleased to welcome a new Secretary General (SG) to head up the organization. Jana Bacheva joined the EFAy at the end of September 2010 following on from Lucy Collyer, who returned to Mallorca to take on another role in her political party earlier this year. The SG position combines the key EFAy coordinator role, which is an essential part of the organization as the SG is the only paid full time member of staff. 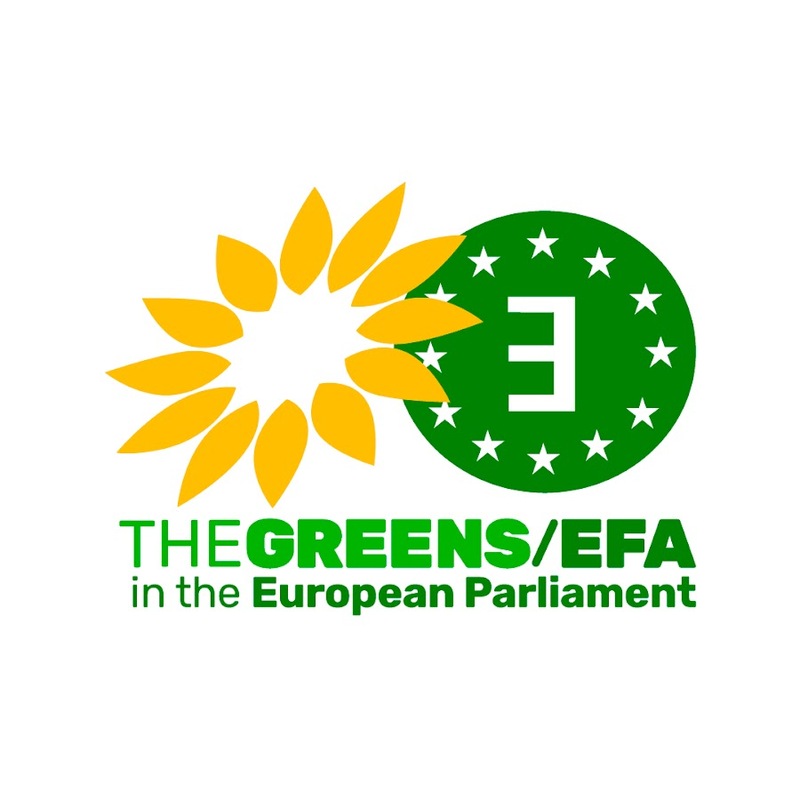 The EFAy has been without a SG for several months, even though Ms Bacheva was selected for the position in July 2010. Unfortunately – due to visa complications – Ms Bacheva was unable to start in her new role, even though she had been selected in June 2010. Ms Bacheva was selected for the job from an exceptionally strong list of candidates and it was felt that her experience and training was what the organisation needed at this particular time. Jana Bacheva’s first day at the EFAy office in Brussels was 27th September 2010 and she has quickly and effectively adapted to her new role. Below Ms Bacheva writes a short synopsis of her background and experience. “I was born on the 18th of December 1981 in Skopje, Republic of Macedonia. Prior to joining EFAy I worked as a project officer at the Macedonian Center for International Cooperation in Skopje, where I coordinated projects enhancing the interethnic and interfaith dialogue in Macedonia and combating discrimination on all grounds and in all spheres of the society. I volunteered at the Macedonian Committee of the International Council of Museums where I participated in the implementation of the project “Teamwork for Integrated Emergency Management” (project partners: ICCROM, Getty Institute, UNESCO and ICOM) in the framework of the Program for Emergency in the Museums. I have also worked as a translator (languages: Macedonian, Bulgarian, Serbian, English and Italian) at the Chamber of Commerce in Trieste (Italy) within the project “Balcani On-Line”. Throughout the last two years I have actively supported the work of the EFA-Rainbow party in Greece, fighting for the rights of the Macedonian minority. I hold a MA in Peace, Conflict and Development Studies from the UNESCO Chair of Philosophy for Peace, University Jaume I (Castellon de la Plana, Spain) and an International Masters in Planning and Management of the Co-operation and Training Activities in Central-Eastern Europe and the Balkans from the Universities of Trieste and Padua. I also hold a BA in Russian and Italian language and literature from the University of St. Cyril and Methodius in Skopje. During my undergraduate studies I spent one year in Moscow (Russia) where I attended courses in Russian language and literature, music, arts, history and politics. In the course of my interdisciplinary studies I acquired knowledge about peace theories, mechanisms for conflict resolution, cultural dialogue, human rights, political systems, International law and sustainable development policies and measures. I am a globally- minded citizen who wants to make a positive change in the world. I have firsthand experience of living, studying and working in an international environment and I speak fluently several languages (Macedonian, English, Spanish, Italian, Russian, Serbian and Croatian). I have a great passion for issues related to peace and minorities’ rights, youth, non-violence, sustainable development. ← Inject more democracy into the EU with the European Citizens’ Initiative!